We would like to invite you to our light and airy studio, an inspiring alternative to standard business hire packages. The Studio is based in the beautiful surroundings of Morland village, 7 miles south of Penrith, with parking available, extensive private gardens, shop, pub, cafe and local walks on the doorstep. 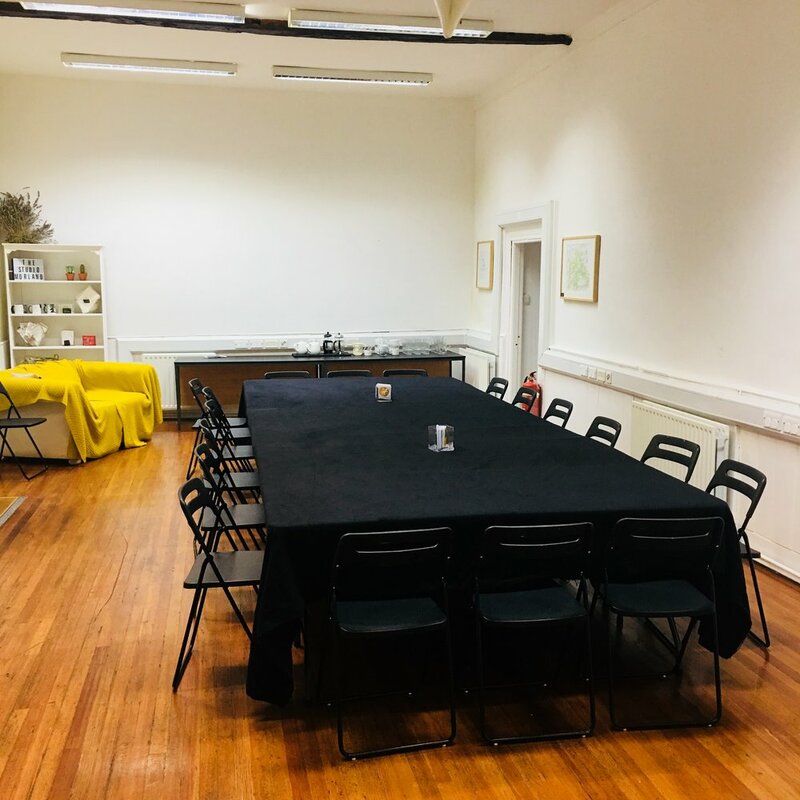 The building is very versatile, accommodating 18 people for boardroom style layout and up to 40 theatre style. The space comprises a main hall, lounge area, office, small kitchen and the unique advantage of a private croquet lawn. For residentials and retreats we can provide accommodation for 18 in a unique mansion house next door, 20 in nearby bunk house accommodation, or glamping and camping in yurts and tents. All clients have use of the extensive and beautiful gardens of the private estate. The Studio has an Arts&Wellness focus and hosts a regular programme of creative and wellbeing sessions. We can therefore offer a range of bespoke activities to augment your experience, including yoga, meditation, drawing/painting, stretching + breathing and trips to nearby secret beauty spots. In addition, our organisational development expertise also gains you access to on hand facilitation for team building, company away days, visioning, brainstorming and creative problem solving. Finally, the Studio is a Community Interest Company and not for profit. Your contribution will benefit the local and wider community through our Arts&Wellness programme and as a vital resource for local social resilience. We can help toward your Corporate Social Responsibility strategy by offering a variety of sponsorship packages including a monthly access hire. Please call to discuss and to arrange a visit.